Pictionary Nº1. 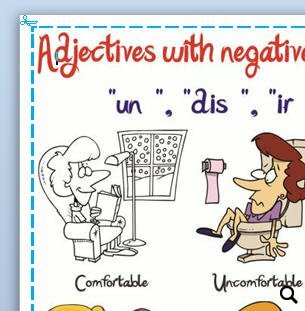 This is a nice picture worksheet about negative adjectives - it includes three pictionaries with the most common negative prefixes such as the following: in-, un-, dis-, im-, il-, and ir-. 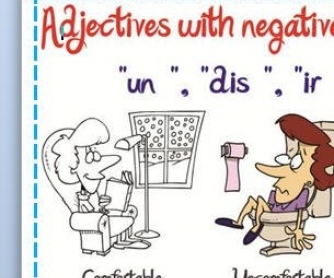 These images helped my students to memorize those adjectives. I hope they will help your students too.